Home loan customers are being urged to think carefully before borrowing at their maximum limit. MANY overzealous property buyers are searching for home loans at their maximum borrowing capacity and should instead be more conservative in how much debt they take on. While interest rates remain at record-lows, both lenders and borrowers must ensure mortgage customers take on debt they will be able to service at much higher rates of around seven to eight per cent. Home loan customers are being urged to not borrow to their absolute maximum and only borrow what they need. But new research from digital mortgage service unohomeloans.com.au has revealed more than 50 per cent of people search for loans at 90 per cent of their maximum borrowing power or higher, meaning they are serving up minimal deposits. Uno's managing director Vincent Turner warns consumers to understand what they can comfortably borrow without overstretching themselves. Uno’s Vincent Turner urges borrowers not to overstretch themselves when taking out a loan. "The banks include a servicing rate which means even if you get a loan with a four per cent rate from the bank, they will treat it as if you were paying 7.5 per cent,'' he said. 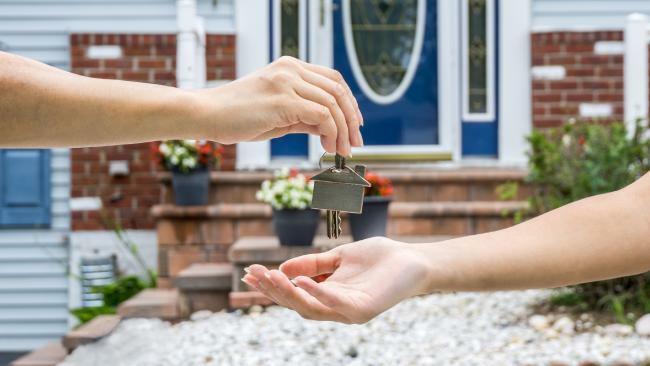 Typically borrowers should keep mortgage repayments at around 30 per cent of their total income, for example, if your household income after tax is $5000 per month, your mortgage repayments should be no more than $1500 per month. Mr Turner warns that people's situations can change - for example having a family, loss or job, injury or death that makes meeting repayments harder. 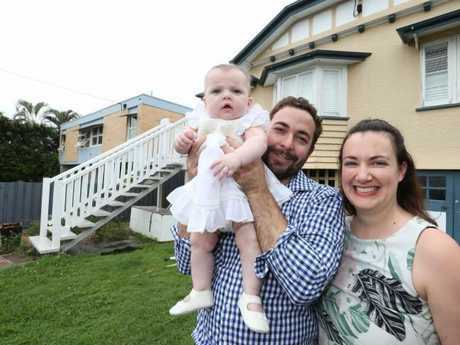 Mother-of-one Kylie Gordon, 33, bought a three-bedroom house on Brisbane's northside in 2015 for $700,000 and pulled together a 10 per cent deposit while in the early stages of a relationship with her now-husband Justin who already had his own house. The pair now have a baby daughter Charlotte and Ms Gordon said circumstances can quickly change which means you shouldn't overcommit yourself to debt. Mother-of-one Kylie Gordon together with her husband Justin and daughter Charlotte believes it is not a good idea to borrow at your maximum limit. "I borrowed under my capacity but just because you can borrow an amount I don't think means that you should,'' she said. In recent years banks have been forced to be far more stringent in what they lend to borrowers and also many customers are being steered clear of making interest-only repayments on their debt and instead are being encouraged to pay off their loans. 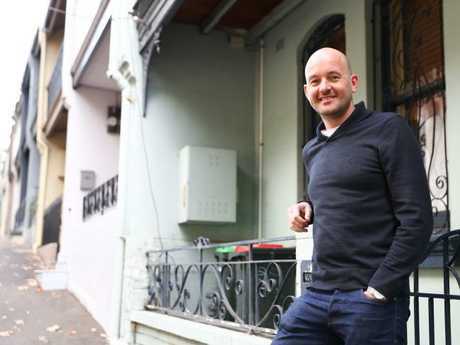 The Mortgage and Finance Association of Australia's chief executive officer Mike Felton warned customers to only "borrow what they need not what the lender says they can afford."